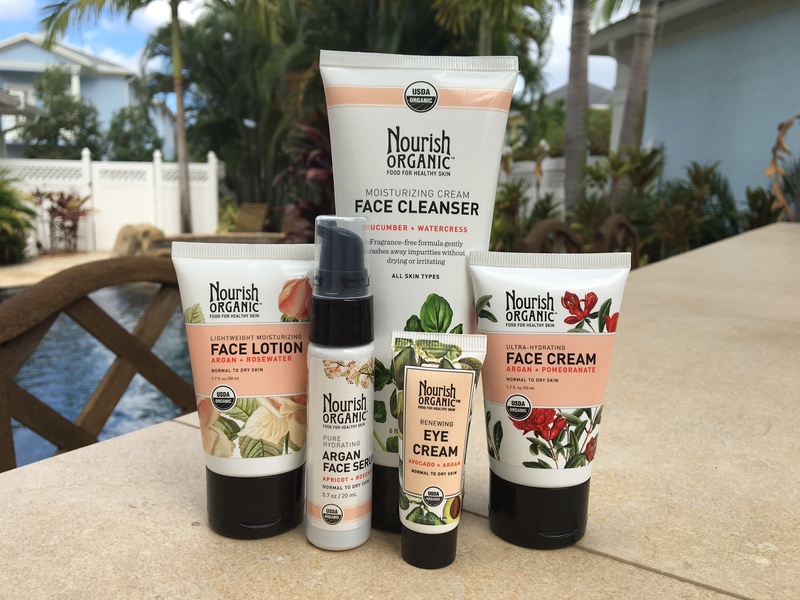 If using organic products is important to you, you may love the Nourish Organic Skin Care line! They were the very first, 100% USDA certified organic skin care line – I’d say that’s pretty impressive! 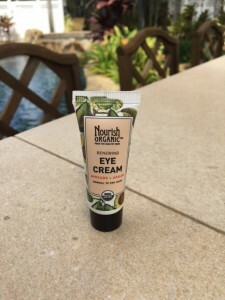 First and foremost, Nourish Organic contains NO: parabens, phthalates, petrochemicals, artificial fragrances or preservatives, silicones, propylene glycol, mineral oils, sulfates, synthetic dyes, triclosan, EDTA, or aluminum. What their products do contain are 100% organic, all natural ingredients extracted from plants, seeds and fruits! I recently bought the entire Nourish Organic Skin Care line and used it for a few weeks so I’m excited to bring you my personal review! What a lovely, calming treat for the skin! 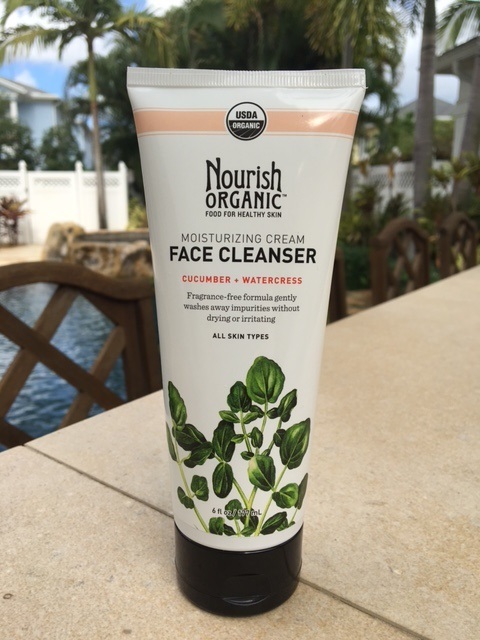 The Nourish Organic Moisturizing Face Cleanser with Cucumber and Watercress was my favorite part of this skin routine because it’s so gentle, feels soothing, does a great job of cleansing, and it’s gentle enough to use on my eyes. This cleanser is fragrance-free and gently washes away impurities without drying or irritating the skin. It is suitable for all skin types and leaves the skin with a perfect ph Balance and supple feel. 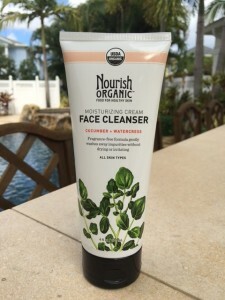 I used the cleanser morning and night, and used it to cleanse my face, eyes, neck and chest. It has a silky feel and it lathers up just enough! I love a good toner, but I don’t like harsh toners that strip your face of all its natural oils! 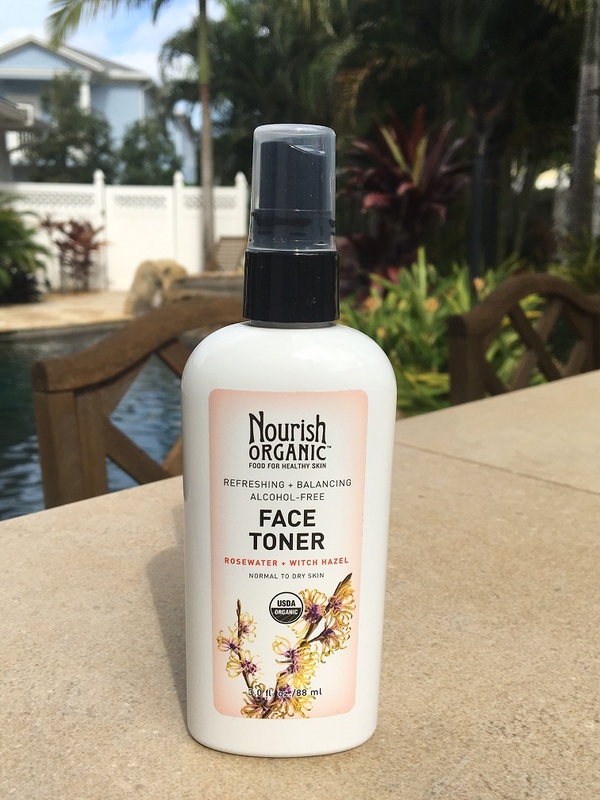 The Nourish Organic Face Toner with Rosewater and Witch Hazel is refreshing, balanced and alcohol free. It’s made for normal to dry skin. The toner is a nice touch after cleansing to prepare your facial palette for the next step. After cleansing, I would gently swipe the toner over my face, neck and chest. It doesn’t burn or sting like some toners, it just feels refreshing and cool on the skin with a very light rosewater scent. Just imagine rose petals soaked in water, it’s just the perfect hint of rose, mixed with the perfect amount of witch hazel to leave your skin fully cleansed of all impurities. The Nourish Organic Renewing & Cooling Eye Treatment with Avocado and Argan Oil is a lovely, calming, creamy mix of nourishing ingredients and is suitable for normal to dry skin. I feel a separate eye cream is so important, mainly because I have extremely sensitive eyes (I actually have ocular rosacea). 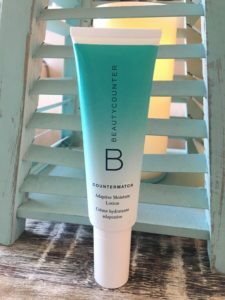 I must use products underneath my eyes and on my eyelids that won’t cause irritation, and this one did a great job! What’s so nice about this product (and the whole Nourish Organic line) is that you can actually understand the ingredients and it’s not a long list of chemicals! After cleansing and toning, I would gently pat the eye cream both underneath my eyes and along the top of my eyes just underneath my brow bone. It feels extremely soothing and gentle and never caused my eyes any irritation. That’s saying a lot coming from someone with problem eyes! I absolutely love skin care products with Argan oil. For a while now I’ve been using Argan oil on my face and body whenever I need extra moisture. Since I’m older now my skin seems to always need it. The Nourish Organic Argan Face Serum with Apricot and Rosehip is a purely hydrating, concentrated treatment designed to deeply hydrate the skin and reveal smoother, softer and more supple skin with improved tone. It’s made made for normal to dry skin. Serum is where it’s at for skin care! This is where you’ll find the most concentrated ingredients that will make the most difference in your skin. Serums are made up of smaller molecules so they’re able to penetrate deeper. The Argan face serum is enriched with antioxidants and essential fatty acids to regenerate the skin and visibly reduce the signs of stress and fatigue. So after cleansing, toning, and applying the eye cream, I would apply the serum sparingly to my entire face, neck and chest. If you haven’t noticed already, I always treat these three areas as they show your age the most! To complete a skin care ritual, you always need a nice moisturizer. 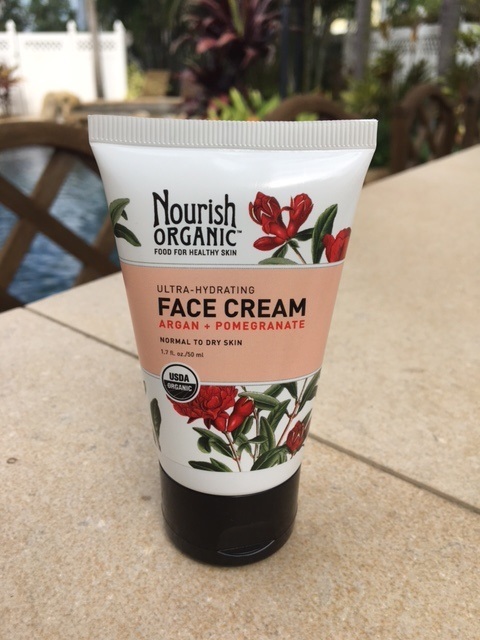 The Nourish Organic Ultra-Hydrating Face Cream with argan and pomegranate replenishes moisture, softens skin and reduces the appearance of fine lines and wrinkles. 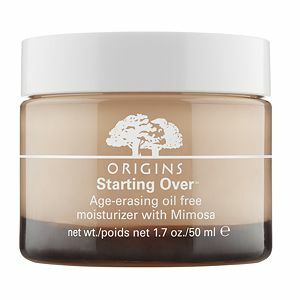 This particular moisturizer is made for normal to dry skin and does a wonderful job of infusing your skin with moisture. You’ll notice your skin plump up nicely right away after applying! It has a very light scent with hints of the pomegranate and sweet orange essential oil. The instructions are to apply after the serum, so after allowing the serum to absorb for a minute or two, I would apply the face cream as the finishing touch! This formula contains many other healing and soothing agents such as aloe, shea butter and sweet almond oil and hydrates and plumps the skin nicely and is a bit more moisturizing than the Lightweight Moisturizing Face Lotion. 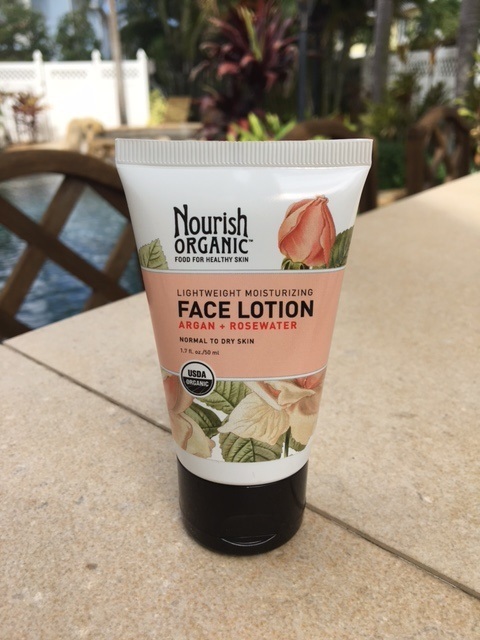 The Nourish Organic Lightweight Moisturizing Face Lotion with argan and rosewater is a lovely blend that moisturizes, softens and protects for healthier, younger-looking skin. If you’re skin is not begging for the ultra-hydrating formula, then the lightweight formula may be better for you. It’s made for normal to dry skin as well, but it’s a bit lighter. I found that my skin liked the Lightweight during the day and the Ultra-Hydrating at night time. Both do a good job of softening wrinkles and providing enough moisture. 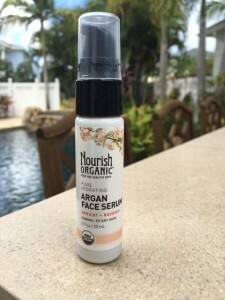 I absolutely loved using the Nourish Organic skin care line. They use 100% organic ingredients and were the first, USDA certified organic skin care line. Their prices are affordable, the amounts are generous, and their products feels great on the skin – with no harsh chemicals or unnatural ingredients! After three weeks use, I can honestly say that my skin improved. The redness in my face calmed down, and the moisture level the serum and the cream provided was healing to my skin and plumped up all my fine lines and wrinkles. I love that they use Argan oil in their products and that I could use the eye cream both underneath and on lids without irritating my sensitive eyes! They always include free goodies when you purchase online, the selection is great (they have soooo many other great products).